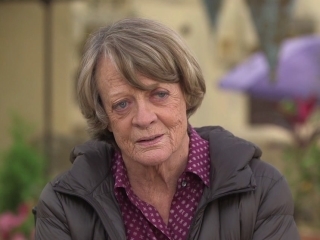 Maggie Smith absolutely carries this movie. 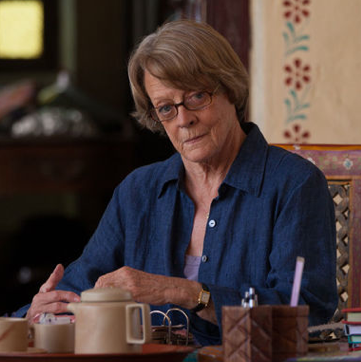 She had the audience howling during the first one, and she’s back with full force for The Second Best Exotic Marigold Hotel. 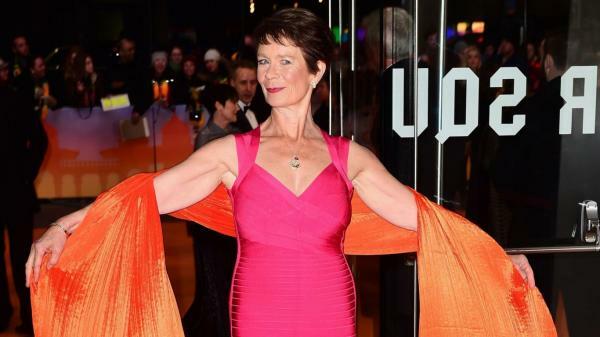 The woman has to be the strongest cast member out of all of them, with Celia Imrie in close competition. 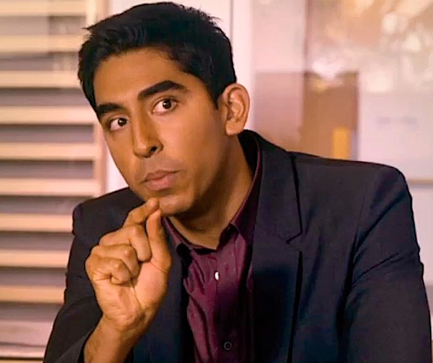 She’s cockney, cocky, and downright bloody hilarious as Muriel – part of a double act with fellow actor Dev Patel (although she outweighs him massively too). If Smith wasn’t part of this movie, it would be very different. 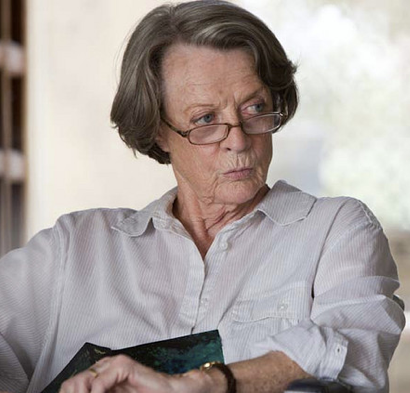 You can count on her for brilliant one-liner’s throughout which lift certain scenes, getting a great audience reception. I literally cannot fault any part of the woman’s performance – but if it’s comedy you’re wanting, expect her to deliver the goods. 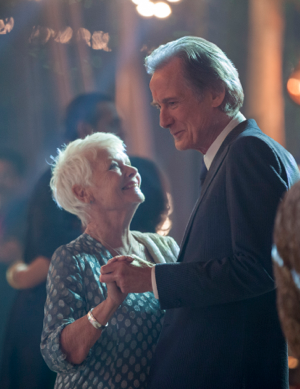 The opening scene sees Muriel and Sonny sat in the swish offices of an American finance firm, faced with the board director as they try to push The Best Exotic Marigold Hotel to expand across the world. The scene seems to flow nicely as the two hotel bosses try to impress – until the moment Muriel stops the facilities guy (delivering tea) in his tracks and comments on his – and American people in general – failure to make a good cup of tea. She refers to the liquid as “piss” – the audience instantly howled with laughter. This was going good, and we were only a few minutes in. I hoped the rest of the movie – scenes with and without Smith – would be as hilarious as its previous installment, because the first one was bursting with brilliant script, hysterical moments, hilarious actors and a constant feel-good and feel-funny atmosphere. This movie was nowhere near as funny as the first one. It picks up back in India, where the handful of oldies left us. Most of them seem to have gotten jobs for themselves, but still reside within the safe confines of the Hotel. 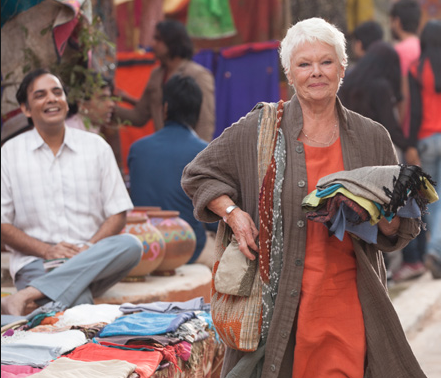 Unfortunately, there isn’t much I can delve into plot wise – that is literally it; a group of pensioners strolling around India, talking about life’s issues. Although there is one big interruption halfway through.. When her voice echoed through the hall of the building Douglas was stood in, I felt a flicker of excitement. 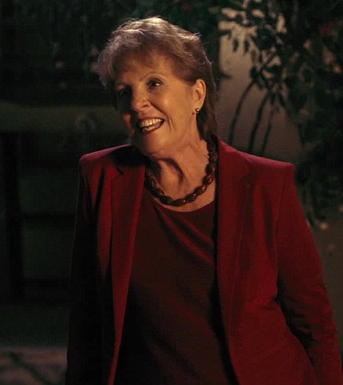 Yes, Jean was back – and like the return of an evil character from a soap opera, the moment added great dynamic to what seemed to be a struggling plot. I enjoyed this bit. 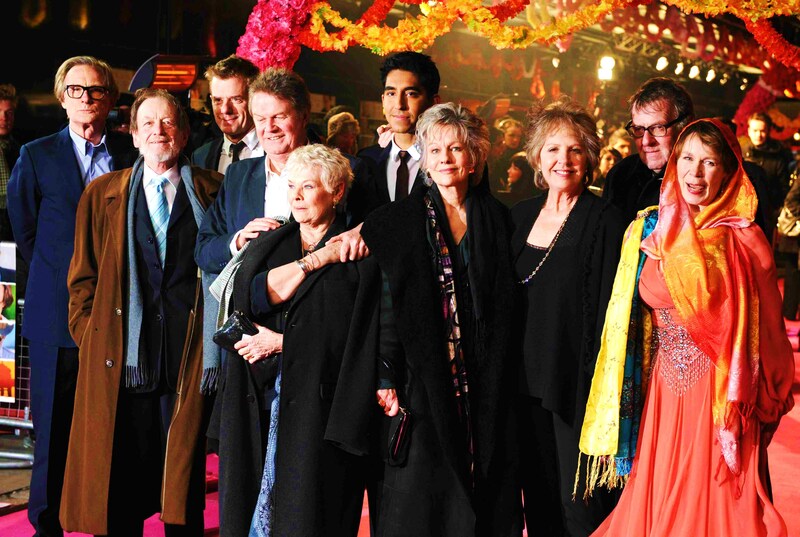 Ok it wasn’t a groundbreaking moment but it certainly boosted the fluidity of the film (I actually noticed how knackered the rest of the cast looked as Penelope Wilton swooped onto the set, perhaps she was a welcome relief – for everyone). Having Jean return shook the film up nicely. Because other than this, I was slowly glazing over. The only comedy seemed to be radiating from Smith and Imrie – one delivering great one-liner’s, the other gracing the screen with hilarious scenes involving the many men she had on the go. The first film seemed very eventful; a selection of old people each with their own background story, jetting off to a completely foreign country. Nerves, excitement, new beginnings and life-affirming situations shaped the feature into one of the most inspiring movies I’ve ever seen. And its laugh-a-second script rounded it off superbly. 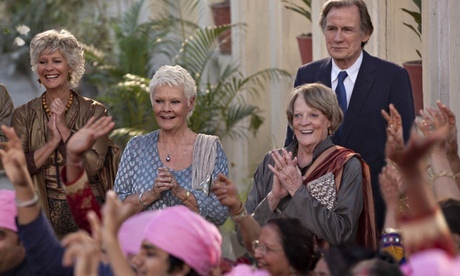 This time round, the excitement had fizzled out and the residents of The Best Exotic Marigold Hotel seemed – well – bored. Yes, the honeymoon period was well and truly over as they returned to their normal routines. But there was one element of the script that made me smile slightly during this movie..
Perhaps this movie’s best element is its analysis of life. 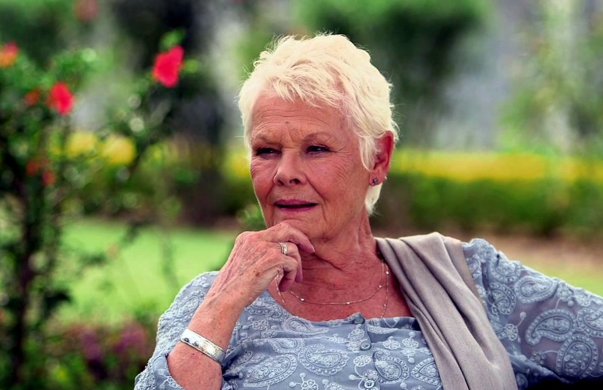 Some of the phrases spoken by characters (Dench seems to be the main preacher) are quite deep – but incredibly true. I actually found myself smiling in acknowledgement at some words that were spoken. There are lines about the amount of time a person can start afresh. About letting oneself be happy and where happiness comes from, and about moving on. Keep an ear out for these lovely words of wisdom, they’re very nice. An important and emotional situation at the end of the movie was completely ruined by poor direction. 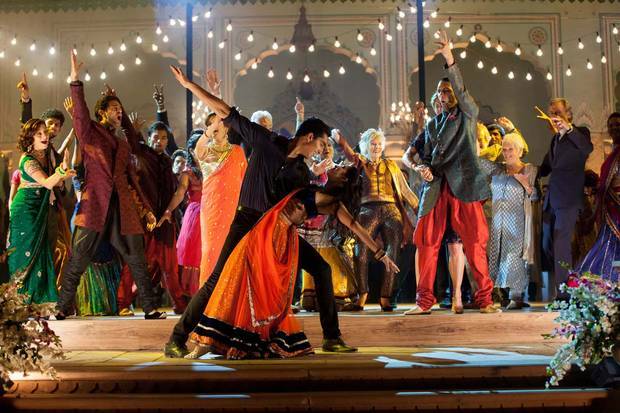 As the movie wraps up with Sonny and Sunaina’s wedding celebrations, Muriel’s voice suddenly blends into the action – vocalising the letter she is sat writing to him. As she began her narration, I instantly knew what was happening – and started crying. Yes, Muriel’s time was up and she was about to die. “..to the children I never had”, she begins sadly before laying down her heart about how proud she has become with everything. Tears were falling down my face..
“oh. That was brief”, I thought as I dried my eyes and this heartbreaking speech was interrupted with drinking and partying. 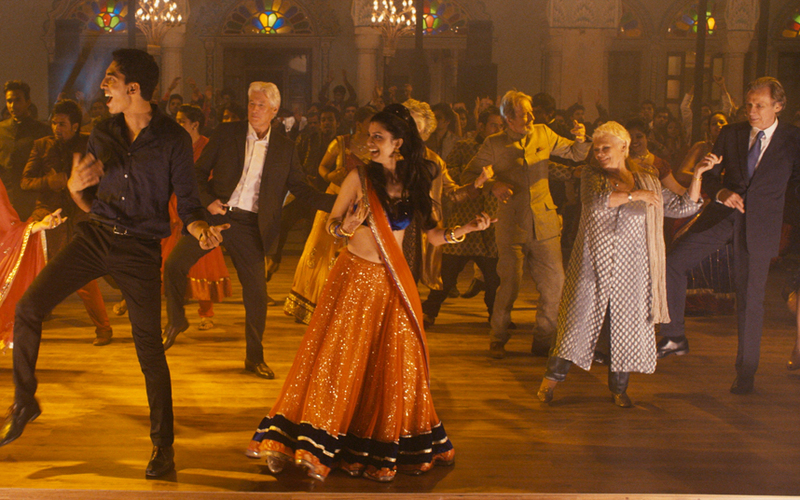 The scene continues with Sonny’s dance routine. I started to feel emotional again. The worst death and most disappointing goodbye I have ever seen in a movie. So. ‘Marigold number two. 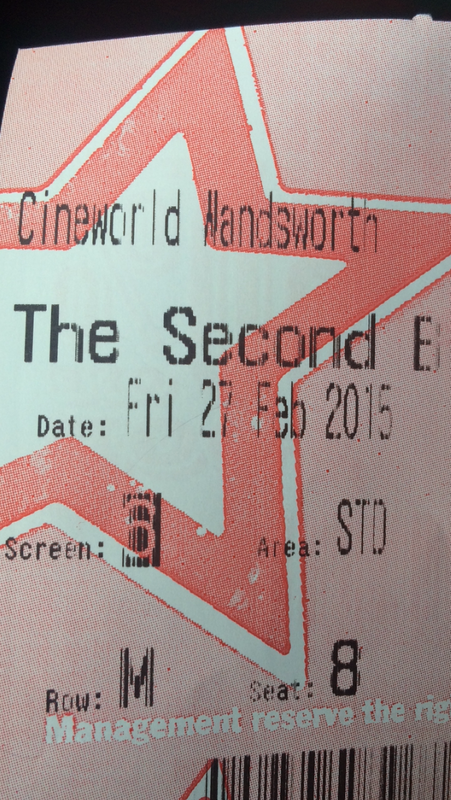 And my instant observation is that it’s nowhere near as funny or enjoyable as its previous installment. Now the residents have settled into their rooms and popped on their slippers, they each seem to have become one of the pillars holding up the hotel ceiling. This was less of a movie, more of a Sunday afternoon BBC sitcom – but should I have expected this? I prepared myself to laugh out loud for a good percentage of the movie, but it had completely the reverse effect on me. This movie was like watching a Bollywood performance being rehearsed with an OAP’s club (on a day out) going along to watch for fun. Ruined by Sunaina (Desae) who seemed to spend 70% of her screen time twirling around to Indian music atop the historical hotel. The actress seemed to be enjoying herself, just a shame she didn’t realise how irrelevant she was. Worth a watch to kill 120 minutes of boredom, but I would advise any of you who embraced and really enjoyed the first one to not get too excited about this. 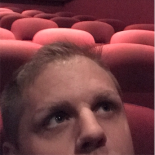 This entry was posted on March 7, 2015 by rickysfilmreviews.